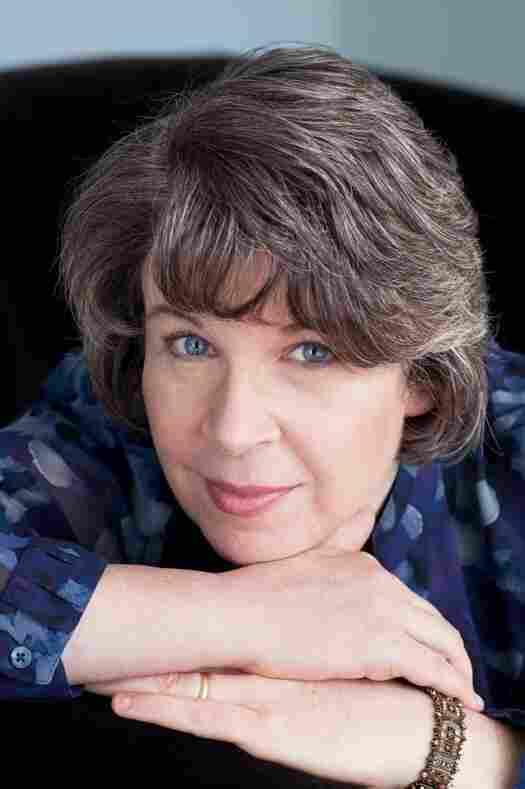 Exclusive First Read: Meg Wolitzer's 'The Interestings' Read an exclusive excerpt of Meg Wolitzer's new book, The Interestings. It's the story of a group of bright, talented kids who bond at summer camp in the 1970s — dubbing themselves the Interestings — and what happens to friendship and early promise as the years roll along. NPR's First Reads series gives you an exclusive sneak peek at new books before they are published. 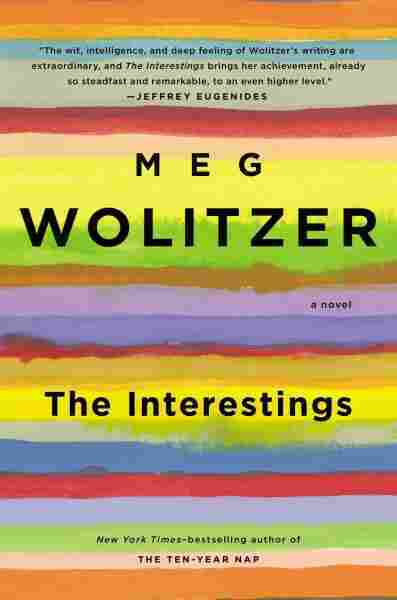 Meg Wolitzer returns with The Interestings, a big and deliciously complicated novel that follows a group of summer-camp friends through the decades. Jules, Ash, Ethan and Jonah first dubbed themselves "the Interestings" as teenagers in the sweltering confines of Boys Teepee 3 at the artsy camp Spirit-in-the-Woods. All of them are bright, talented kids — artists, musicians, actors — but what happens to close friendship and early promise when you grow up? For the Interestings, that question will have very different answers. In this excerpt, Jules — now married to ultrasound technician Dennis — experiences an unpleasant burst of jealousy after reading the annual Christmas letter from Ethan and Ash, married to each other and flush with success. The Interestings will be published April 9. When Jules opened the front door, the apartment was bright with cook­ing; apparently Dennis was making steamed five- spice chicken. She stood and looked at the mail that had accrued today, a small, dull pile of bills and cards. Beside the fresh pile was the square card that had been lying on the front hall table for a couple of days already, unopened. Jules brought it into the kitchen, where Dennis stood over the stove in his Rutgers sweatshirt. He always looked too big for their small New York kitchen, his body solid and indelicate, his movements broad. He couldn't seem to keep his face free of hair growth. "My Chia Pet," she'd called him in bed back in the beginning, twenty-eight years earlier. He was big, black-haired, male, art­less, at least in the sense that he had no art, no personal need for refined aes­thetics. He liked to play touch football on the weekend with his friends who sometimes came to the apartment afterward for beer and pizza, high-fiving one another without evident irony. Like several of these friends, Dennis was an ultrasound technician, a field he'd chosen not because he'd grown up with a desire to know what lay beneath surfaces but because after a rough emo­tional time in college and then a shaky recovery, he'd seen a convincing ad on the subway for ultrasound school. Now, decades later, he worked at a busy clinic in Chinatown. Sometimes on the way to the subway home, walking past the row of Chinese vendors on the street, he would pick up some star anise or long beans or a twisted root that looked like an old wizard's hand. His prox­imity to these vendors kept him somehow a little exotic himself. Dennis turned away from the stove and walked toward her with a drip­ping spoon. "Hello," he said, kissing her; their lips suctioned, springy, and they held the kiss. "Hello," Jules finally said. "It smells good in here. When did you get home?" "An hour ago. I went right from a pelvic ultrasound to this. Oh, there are two messages on the machine. Your mother and Rory. Your mother said it's not necessary to call her back, she was just checking in, and wondered if you'd heard from Rory yet. And Rory said that she'd arrived safely at Chloe's house in New Hampshire and that the roads weren't bad." "They shouldn't let college students drive," said Jules. "They get in these crappy cars that their parents no longer want, and hit the road. It's sickening." "It's sickening that they have to ever move out," said Dennis. But this wasn't really true in their case. Though they'd been struck hard when Rory went off to college, and had been dumbly bewildered that she no longer lived there, she'd always been self- contained, eager to go outside; and so sending her to college all the way upstate was a little like returning an animal into the wild. "Well, she's fine," said Dennis. "They're going to cross-country ski. She'll have a great time." Then he noticed what Jules held. "Hey, the letter," he said. "Yes," she said. "The letter from our friends, the ranchers." "You still want to do the thing this year? Where I read it aloud? You're still not past that?" "Oh, I'm past it," she said. "I just like doing it. One of our only rituals — you the lapsed Catholic and me the short-sedered Jew." "The what? Oh, short-sedered," said Dennis, amused. "Yes, that's exactly how I describe you to everyone." "And still in need of a read-aloud Christmas letter," said Jules. "Okay. But wait, I have wine," he said. "Oh, good. Thank you, honey." He went to the cabinet and poured glasses of red, then sat with her at the table in their barely eat-in kitchen, while snow pinged the narrow win­dow that overlooked the alley. There was a silent moment as Dennis pushed his finger inside the envelope, revealing an oxblood lining. Suddenly Jules remembered Ash's sleeping bag from camp with its own suggestive red lin­ing. The illustration on the card was, as always, a new Ethan Figman draw­ing, seasonally relevant. This time he had drawn the Three Wise Men, each one plump and eccentric in a robe and tall hat; each one crankier than the last. Jules and Dennis studied and admired the drawing together. The cor­ners contained tiny asides — throwaway jokes about the trashed economy and illustrations of anthropomorphic piles of resin with dialogue bubbles above them: "Hello there, I'm Frankincense. Well, technically I'm Frankin­cense's monster, but everyone gets that wrong." One year the Christmas letter had included an advent calendar with windows that hid wonderful little cartoon scenes. Another year, when you opened the card, the theme song from Figland played, though the technol­ogy was not advanced yet, and the sound was like miniature children trapped inside the card, singing "Ee-ee-ee." In 2003, memorably, a burst of pink pow­der had flown out, though some recipients had apparently been frightened, thinking it was a letter bomb, which horrified Ethan and Ash, who had just imagined it would be a cool effect. So the Christmas card became tame again, but it always contained a classic Ethan Figman illustration as well as a detailed accounting of the previous year. The earliest letters had had an arch and jokey tone, but fairly soon they turned into a more earnest project. Jules and Dennis had never sent their own letter; other than the fact that even the term "Christmas letter" seemed corny, for a long time the years had been mixed. Some years had been cata­strophic, though that hadn't been true for a while. Mostly, the years were just ordinary or mildly disappointing. What would she and Dennis even write about themselves? "In recent months, Jules lost two clients, whose insur­ance plans no longer offer mental health benefits." Or, "Dennis continues his job at the clinic in Chinatown, though the office is so understaffed that this week one patient waited seven hours to be seen." Or, perhaps, "Our daughter, Rory, a student at the state university in Oneonta, has no idea what to major in, and has a roommate who was prom queen in high school." But the years had been very different for Ethan Figman and Ash Wolf, and every Christmas they obviously enjoyed the task of writing to all their friends. Jules wondered if, in the beginning, they had perched together writing — Ash used to own a powder-blue Smith Corona typewriter at Yale and then, a few years later, a gum-colored early-model Mac — their voices overlapping as they each contributed to the letter. Now, when Ash and Ethan's life together was so massive, Jules could only picture the two of them sitting in a vast room together, at either side of a desk that had once been a redwood tree or a giant geode, getting up and pacing once in a while, saying, "If we bring up the trip to Bangalore, will it seem self-serving? Even obnoxious?" But perhaps the Christmas letter was no longer much of a shared project. Maybe Ash read it aloud to Ethan while he poked along on a treadmill in front of a wall of windows, and he nodded his approval, which in both their minds made him cowriter. Or maybe Ethan read it aloud to his assistant, Caitlin Dodge, who made editorial suggestions and then sent it out to every­one on the list. Jules realized she could no longer even take a rough guess at the number of people who received the Figman and Wolf Christmas letter. She'd lost a grasp of what the number might possibly be, the way she'd lost track, some years ago, of the current population of the earth. Even those words give us pause, because throughout the year we receive so many letters that also begin "Dear friends," asking for a donation to some cause or other. And for the most part, we aren't the actual friends of those askers. But you are the genuine article and we love you, so please forgive us as we once again foist a play-by-play of the previous twelve months upon you. You may foist one upon us as well, if you like, and in fact we hope you do. We're writing this from the ranch in Colorado, where we've been holed up with both kids and a bunch of great performers. Ash, who's working on a production of The Trojan Women that she'll direct at Open Hand, invited the whole cast out here, and amazingly they agreed to leave their busy lives and come. So all the bedrooms are full of Trojan Women, or at least Trojan Women with Equity cards. We are thrilled, because when we first bought the ranch we fantasized that someday it could sort of be an arts center (or an arts centre, Ash confesses she pretentiously imagined), and now it has materialized (aka materialised). We've been lighting big fires in the hearth at night, and the actors are up with the roosters. Greek tragedy! Unnecessary violent deaths! Hay­rides! What's not to like? As for Ethan, he's taking a long-planned break over the holidays, and hopes to read the books that have been following him from city to city, country to country, plane ride to plane ride, but which he's so far barely cracked. On his e-reader there's a history of minor-league baseball parks and a concise explanation of string theory (whatever that is. Ask Ethan — but not until January). Perhaps he'll really get through them this time, though he's infuriated that his e-reader allows him to only know the percentage of a book he's read, not the number of pages. This, he thinks, is 92 percent stupid. In far more important developments, the Anti-Child-Labor Initiative has had another year of expansion, thanks to the kindness and compas­sion of the people to whom we have also written "Dear friends." (But we don't feel for them a fraction of what we feel for you. Honest.) This isn't the place to go on about the essential work the initiative accomplishes. (Please link to a-cli.net for more about that.) But let's just say here that we have a staff of extraordinarily dedicated people in the New York office who give of themselves in ways that continually amaze us. We wish we could spend more time on-site, but this year has been a fertile one for Figland. Barreling toward a quarter-century on the air (oy! ), the ancient TV show amazingly thrives. We've worked constantly this year, and we've traveled to India, China, and Indonesia, along with our staff and a few helpful folks from UNI­CEF, overseeing the expansion of the Keberhasilan ("Success") School that we proudly helped found. And we've also carved out a little time to travel just for our own pleasure. The sobering tragedy of underage labor could of course not be countered by the pleasures we experienced. But the first and foremost way to address the situation is to educate people about it. And that's what we continue to try and do. With waves of insufferable pride we'd like to tell you about our daughter, Larkin Figman, who's managed to survive nineteen years with a name that hovers in the region between a misanthropic twentieth-century English poet and a certain familiar cartoon character. Friends, she is the most incredible young woman! She came with us on the Indonesian leg of our trip, as she has done before, and worked as an aide at Keberhasilan, but had to return immediately afterward for college. As many of you know, she's a student at her mother's alma mater, Yale, living in Daven­port and studying theater and art history. We would have loved her even if she were a math geek, which she certainly is not. However, as many of you also know, her younger brother Mo is, and we love him no less for it. A boarding student at the Corbell School in New Hampshire, Mo be­lieves his dad's TV show could be A LOT better, and that the plays his mom directs are boring, but he tolerates us anyway. On a more serious note, we want to add here that we'll soon be re­vealing some important news about the Foundation for Poverty, because some of you have asked how you can help. The letter went on for another dense page of type. All the information in it Jules already knew, since she spoke to Ash several times a week much of the time, and she and Ethan sent each other frequent brief e-mails. The two couples had dinner when they could, which wasn't that often anymore, but it didn't matter; they were close, they were sealed. Their lives were much too different now for Jules to have kept up a sustained level of envy. Mostly, she had given up her envy, had let it recede or dissipate so that she wasn't chron­ically plagued by it. But still, whenever the Christmas letter came each year, cataloging the specifics of the enormous life of Ethan and Ash beat by beat, Jules indulged in a few dark thoughts. By the time Dennis was done reading aloud now, Jules saw that somehow the bottle of wine had emptied. It wasn't even anything good — they never bought good wine but grabbed whatever cost around nine dollars, a figure they'd arbitrarily settled on — but Jules had been drinking the whole time he'd been reading to her, her hand lifting and lowering, though she'd barely noticed what she was doing. Now she felt as if she were dully humming with an unpleasant, low-grade drunkenness. She made a variation on the same dumb, unkind joke she'd occasionally made over the years: "Why would they call it the Foundation for Poverty? Doesn't that imply that they approve?" "Yes, someone should have done something about that by now," Dennis murmured agreeably. "You know what, Dennis? I have gotten over most of my stupid thing about them, but it does rear its head very predictably when we do this. Re­member last year? We read the letter, and we were drinking, and we went out walking in the snow on Riverside Drive. I joked about falling down in a snowbank and dying of a combination of hypothermia and envy. That was what we said it would say in the coroner's report." "Oh right," Dennis said, smiling again. "Well, you didn't die. You got through it, and you'll get through it again." Throughout their marriage, he often smiled at her with a kind of sympathetic affection. "Anyway," he said, "everything gets bad around Christmas. There's also seasonal affective disor­der, right? I always worry about that." "That's not going to happen. You're fine," she said. "And so are you," said Dennis, clearing away the glasses. Her tongue felt unmoored, and her whole mouth felt in danger of com­ing apart as she spoke. "This is just my usual relapse," she said. "I'm sure it will pass." "It's not like you didn't already know everything they wrote in the let­ter," said Dennis. "You know all the details already." "But just hearing it aloud or seeing it on the page reminds me of every­thing. I can't help it. Despite my wisdom by now, I am small-minded and predictable." She paused and said, "You know that I love them, right? I need to make sure you know this." "God, of course. You don't have to say that." "Do you remember how much worse I used to be?" "I certainly do," he said. She ate his five-spice chicken, and it was cooked perfectly, the flesh as tender as a change purse, she told him — "not that I've eaten a change purse, though I bet it would be exactly this tender if I did" — but Jules felt herself drop even lower. Ash and Ethan had a personal chef who knew all their likes and dislikes. Here, in this little kitchen, Dennis used the Chinese ingredi­ents he found on Canal Street as he headed to the subway after a day at the clinic spent plowing a transducer through the warm gel spread across sec­tions of people's bodies. He had worked hard on his chicken, and she had worked hard on Janice Kling and the other clients who preceded her; while off in Cole Valley, Colorado, on the Figman and Wolf ranch, the whole place fibrillated with good work and industry. Ash and Ethan were never idle, never still. The work they did invariably became something wonderful. If they cooked a chicken, it would feed a subcontinent. Jules ran a socked foot against the kitchen tiles that never entirely got clean. They were inexpensive tiles, and you could scrub and scrub them, but still they appeared the milky yellow that implied there wasn't enough money in this household or enough attention being paid to detail. There wasn't some woman with a curved back kneeling on the floor cleaning these tiles each week. This concentrated and renewed burst of ancient Ash-and-Ethan envy had turned Jules into someone shameful. And it wasn't as if Ash and Ethan didn't have problems too. First of all, they had a son with an autism-spectrum disorder. Though the Christmas letter did not refer to this, prob­ably most of the people who received it already knew. Jules had been with Ash during Mo's two-day evaluation and diagnosis long ago when he was three; they'd driven up together to New Haven to the Yale Child Study Center because Ethan had said he had to go to LA and couldn't get out of the trip. The driver took the two women and Mo in the black Range Rover, and during the ride Ash said, "So this is my big return to New Haven. And not to have lunch with an old professor, or give a talk, but to learn what's wrong with my uncommunicative and unhappy little boy." The nut of what she was saying was: this is awful. Mo couldn't hear her; he was listening with headphones to a CD of a picture book about a runaway truck, the same CD he listened to often. The two women regarded him for a few seconds, then Ash unbuckled her seat belt and reached over, pressing her face into his soft white neck. He twisted around to get away but saw he was trapped by the seat belt and soon stopped protesting. Jules knew, during the drive, that Mo would be given a diagnosis the next day, and it seemed clear finally what it might be. But until not long before Ash had made the appointment it hadn't occurred to them that Mo was "on the spectrum," as everyone casually put it lately, just the way people also casually said "chemo," all of it seen as part of the perils of the modern age. Instead, before then, Mo had seemed mostly anxious and disconnected, shrieking and crying for reasons that he was unable to explain. An elderly, famous child psychiatrist had spent hours with him asking what he was afraid of when he lay in bed at night. At the end of the following day, during the trip home from New Haven, Ash cried on her cell phone in the car to Ethan. Jules sat there awkwardly, looking out the window and wishing she didn't have to hear them talk. Ash said to Ethan, "No, I know you love me, that's not what I'm saying," and then, "I know you love him too. Your love is not in question, Ethan. Some­times I just need to cry. No, he's listening to a CD. He's got headphones on. He's completely oblivious. I wish I was too." Then she listened to Ethan for a few moments, and suddenly said, "All right," and handed the phone to Jules, who was startled. "What?" whispered Jules. "Why does he want to talk to me? You're in the middle of a whole thing together." "I don't know. Just talk to him." "Listen, hi, Jules," Ethan said on the phone, his voice tight. "Will you stay at the house tonight with Ash? Is that at all possible? I feel so bad I couldn't go with her, and I realize I'm asking for a lot, but I don't want her to have to be alone. I mean, I know the kids will be there, and Rose and Emanuel, but I would really love it if you were there too. Because you can" — here his voice broke a little — "you can remind her that, you know, we've always gotten through everything. That's what we've always done, since the beginning, with her parents and Goodman. Remind her of this, will you, because she feels so down. Maybe you can reassure her, like I was trying to do, that Mo will have a good life. There's no way he won't. We've got the resources, and it'll be okay. We'll make it be okay. Please tell her that. But say it later, when Mo's not around to possibly hear any of it, okay?" Jules stayed the night at Ethan and Ash's house on Charles Street with the staff and the delicately wonderful meals appearing as if they'd been summoned up merely through wishing. She sat with Ash in the basement level of the house by the side of the compact lap pool, while Ash swam her short, dull laps for a long time, her head above water, once in a while stop­ping and peering up to say, "Will it be okay, do you think?" "Yes," Jules had said, reaching down to take Ash's wet hand. "It will be. I know it will." She meant it, too. Things were always set right in Ash's life. The family could at last move forward with what had seemed like a generically emotion­ally fragile son, but instead was a son with a specific diagnosis: pervasive developmental disorder, not otherwise specified, or PDD-NOS. He was on the autism spectrum, the doctors had explained, and now he could finally get some real help. Always, the Figman and Wolf family rallied; just as, long in the past, the Wolf family had rallied too. But the loss of possibilities was always undeniably painful. This had been true when Ash's brother, Good­man, essentially ruined his life in one night and thundered impulsively ahead from there, as if trying to ruin the lives of everyone around him as well. By 2009, Jules had been with Ash at most of the significant moments in her family story, and she knew how much Ash had suffered. Still now, on the night that Jules and Dennis read the latest Christmas letter, Jules had her series of mildly envious thoughts that could not be quieted as quickly as she would have liked, and she and Dennis went to bed early, with Ethan's card of the Three Wise Men propped on the radiator. All winter the heat in this apartment was either too voluminous or stingy. Tonight was one of the stingy times, and they lay together, her husband's thick arms around her, keeping her not exactly warm enough; and her arms around him, probably doing the same incomplete job. Elsewhere, in a hearth on a Colorado ranch, a fire glowed and gathered. From The Interestings by Meg Wolitzer. Copyright 2013 by Meg Wolitzer. Reprinted by arrangement with Riverhead, a member of Penguin Group (USA) Inc.